ShortScale :: View topic - Electric xii template? Got it! Electric xii template? Got it! Posted: Sun Apr 13, 2014 10:15 pm Post subject: Electric xii template? Got it! Does anyone have an electric xii template? I need the body and guard template. I can help with the guard. I have an original that some one hacked a humbucker into but I can put a PDF of the trace for you on the archive. I think I did one for Cooter. Awesome. Thanks. I'm sure he has it then. I just need the body now. 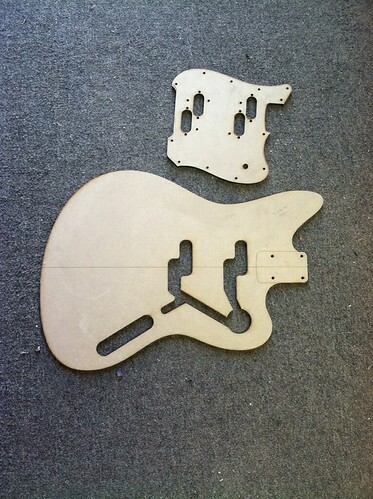 Is the outline not the same as a jazzmaster? 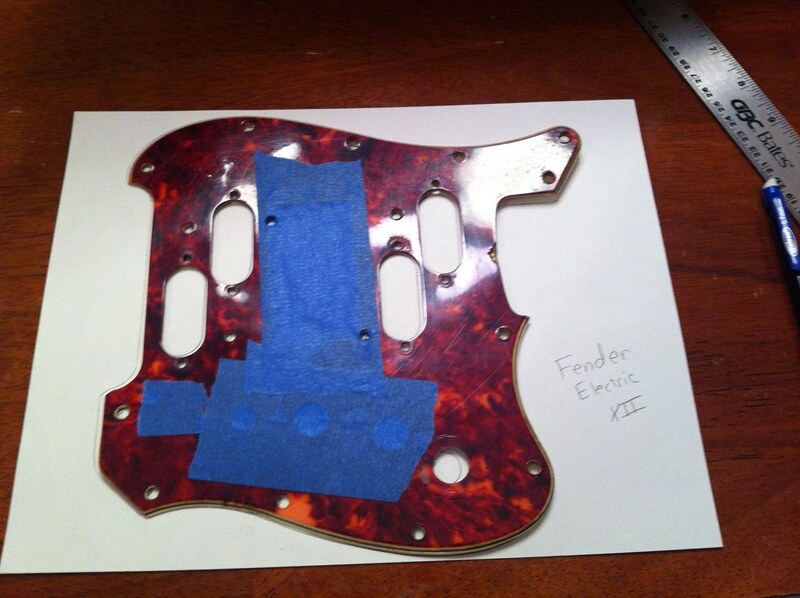 You could work out a decent approximation of the routes from the pickguard and control plates and maybe a picture or 2. Someone over on OSG sent me a template to the whole thing. Are you sharing with your fellow 'scalers for the template thread? Indeed as soon as I know it is right. Rhoney has one too. Hey Taylor. 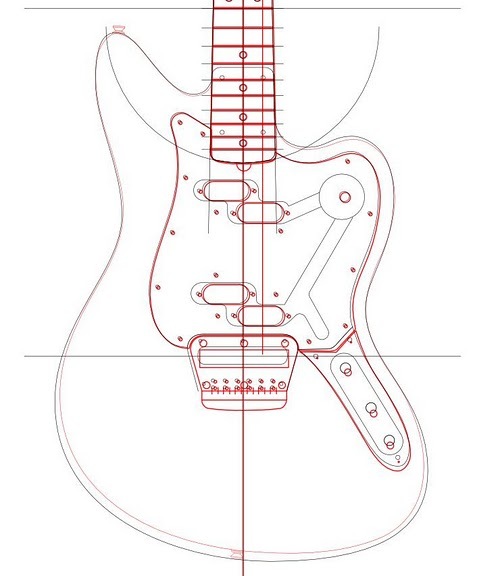 Would you mind printing this and telling me if the Pickguard lines up to yours? I guess no one will share template files anymore. You have to buy them... I understand if it's your own design or if it's a physical template but this is a file we are talking about and fenders design. Oh well. Here's a picture of Ludos template and Rhoneys template together. I think Rhoneys is the red one. Might be able to get a template from it. Hey Taylor. 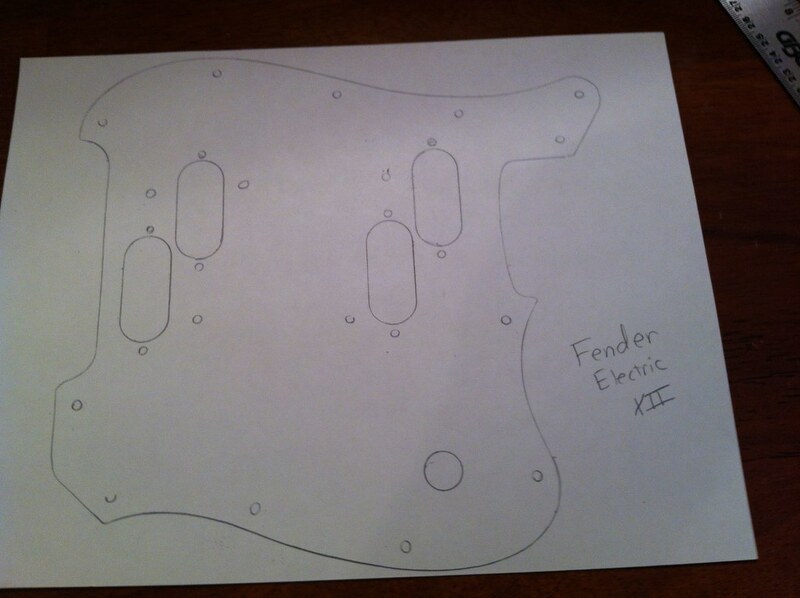 Would you mind printing this and telling me if the Pickguard lines up to yours? I guess no one will help each other and share template files anymore. You have to buy them... I understand if it's your own design or if it's a physical template but this is a file we are talking about and fenders design. I would have to go to Kinkos to have it printed. I might print out my pickguard and put the guitar design on my Mac at full size and see if it matches up. I don't have time to do a full print out this week. I can also retrace the original guard on paper and mail it to you if necessary. Could someone scale it? I have no idea how to. I think that ones way off anyway. Try the Ludo/Rhoney one if you do anything. It's too big and not drawn very well. I will look at the Ludo/Rhoney one. Just bought these from Rhoney. I gave them to cooterfinger as a present haha.